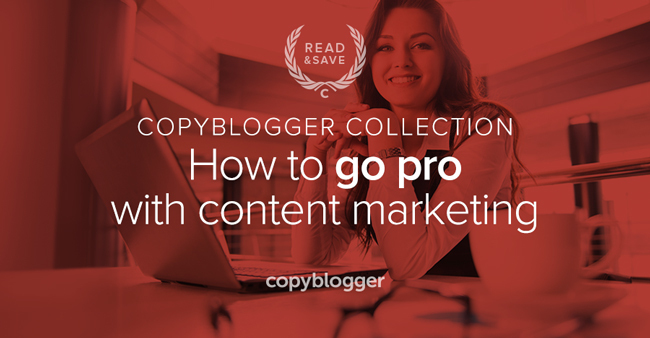 Professional content marketers think like students. They study all of the content they consume with a critical eye, looking for ways to learn from smart techniques that others use. But how do you know what works right now in content marketing and what doesn’t? As you work your way through the material below, use each lesson as an opportunity to refine the way you approach content marketing. Non-writer: What do you do for work? Non-writer: No, what do you do for work? Well-paid writers who work in content marketing do exist, and there’s something special about their traits, abilities, and strengths. Sonia Simone shares The 7 Things Writers Need to Make a Living to help guide you along your journey to becoming a professional writer. When Beth Hayden quit her day job to start her own business, she was naturally apprehensive about the unknown. However, the support and encouragement she received from her network of media professionals gave her the confidence she needed to move forward. No content marketer is an island. We all know this. But we don’t always take the initiative to strategically collaborate to generate the best content marketing ideas. The birds and the bees do this naturally, and we can, too. It’s called cross-pollination. They fly from one flower to another, or one tree to the next, picking up bits of one plant and carrying it to the other. The plant on the receiving end of this pollination is hardier and able to reproduce with greater variety. It meets environmental challenges more successfully because it’s genetically diverse. In the same way, when you cross-pollinate ideas, you make your business stronger. She reveals how you can get started in The Key to Innovative Business Ideas: Cross-Pollination. If you want to get smarter, more strategic, and more effective as a content marketer, we’d absolutely love to have you join our Certified Content Marketer training program. Previous article: How Much Does it Cost to Build a Website?